Justice is a three-part update between Advance of the Union and Tempest. 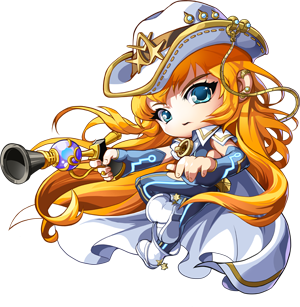 With the Black Mage and his Commanders continuing to threaten the Maple World, Thieves and Pirates must rise up to do justice. It contains several overall adjustments, a Thief and Pirate revamp, a new Hero class, Phantom and an exclusive content, a new Explorer class, Jett and Zen available on selected servers only. 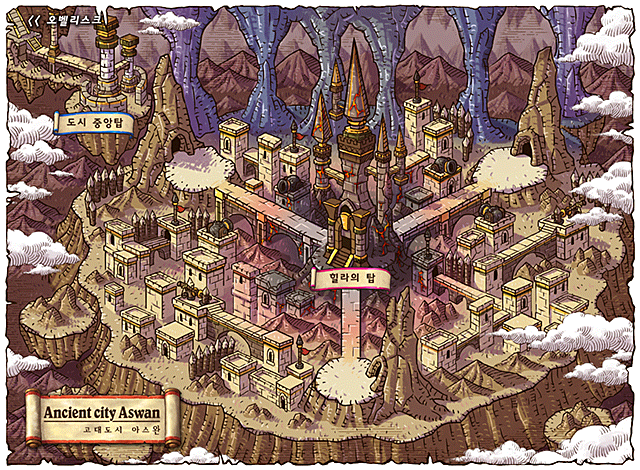 A new area is added, Azwan, where players must fight against an undead army. Put your characters to work while you aren’t logged into them. Click the Part-Time Job button on the top-right of the login screen to begin. Your characters can be put to work to receive EXP or a variety of types of in-game items. Characters Lv.30 and higher are eligible. Characters can be assigned part-time jobs for up to 6 hours. Depending on how long your character “worked”, you get better normal rewards and the chance of obtaining special rewards increases. If you want to play using characters that are doing part-time jobs, you must remove them from the part-time job status. Payment for each part-time job can be received from NPC Ms. Appropriation, who is in most major towns. There are five types of part-time jobs available. You can assign them to up to 3 characters and receive a reward after a set time. One character card will be created for each character you have that is at least Lv.30 and has made the 2nd job advancement. 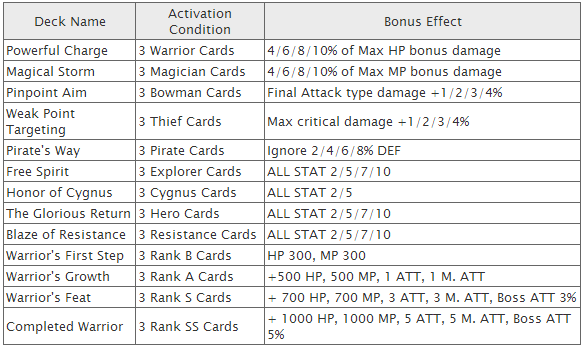 Each card has unique attributes based on character type and job, and card grade. Place the character cards on the card deck and their effects will be applied on all characters in the same world within the account. Each deck has 3 card slots. A total of 2 decks are provided. Combine 3 cards in a deck to trigger special deck effects. Cards cannot be shared with your characters in other worlds. The grade of each card is determined based on character level. 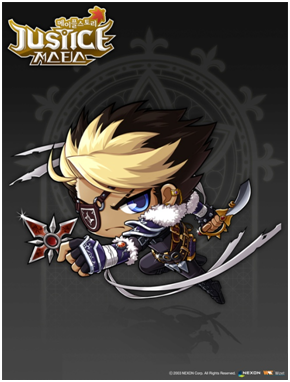 Cygnus Knights can obtain up to grade A.
Click the “Character Card” button on the top-right of the login screen to begin. Card properties listed below are based on the grade of a card. For example, a card for a Lv.40 Fighter will grant 2% Weapon DEF, but further up this job branch, a card for a Lv.160 Hero will grant 4% Weapon DEF. Need some help getting around? Click a map icon on the world map, then click “Enable Navigation.” An arrow directing you where to go will appear next to your character until you reach your chosen destination. If you enter a map that doesn’t have an icon on the world map, the navigation arrow will switch off. You will have to manually re-enable it when returning to a main map. When doing a quest, click on “Location” button at the bottom of the Quest window to auto-search items needed for the quest and information on pertinent monsters, and then view them on the world map. Upon viewing the results of the search, use the “Enable Navigation” button to use the feature, as mentioned above. The Navigation feature is not provided for special maps such as event maps, hidden streets, and certain other maps that have restrictions. This new menu recommends quests, hunting grounds, and other content based on your level. The Navigation system can be activated for some of the recommended content. Detailed explanations are included for recommended content. Several Cash Shop weapon covers have been converted into in-game weapons. These items range from Lv.53-123, and can be found as rare drops from monsters throughout Maple World. The Thief and Pirate class have been heavily revamped and rebalanced, with their skills being considerably overhauled. Many existing skills have been removed and replaced with new skills. The Corsair Battleship and the Buccaneer Super Transformation have now become mount skills obtainable from Samuel in the Forest of the Priest after your 4th job advancement. Thieves, Pirates, Night Walkers and Strikers should check the event notifier (star icon) on the left side of the screen for a quest to receive a free SP Reset Scroll. This scroll will reset all of your assigned SP except for those in your Beginner skill tab. Numerous classes have had adjustments made to their skills to keep each class competitive with the others at all job tiers. 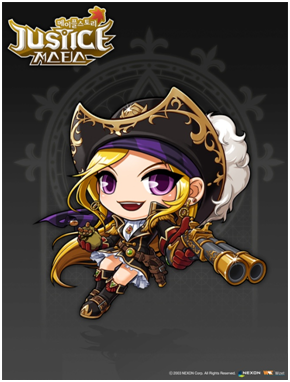 All Pirate class skill macros have been reset to prevent conflicts with updated game data. Please re-register your skills again. Play style: Phantom's skills grant him high mobility, fast attacks, a high dodge chance, and a high rate of critical damage. 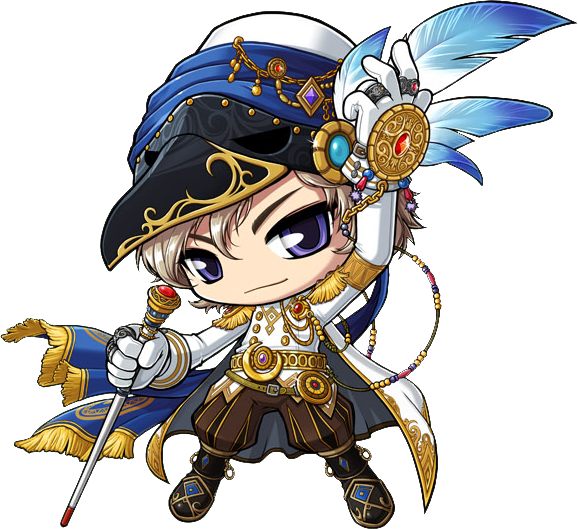 He is the fourth of the legendary five heroes to be released, following Aran, Evan (successor to one of the heroes), and Mercedes. Although we refer to Phantom with masculine pronouns outside of the game, you will have the option to play as a male or female version of Phantom in game. Phantom will receive a cane and a card after the tutorial. Phantom skills cannot be used unless both are equipped at the same time. In addition to an equipment NPC, the Lumiere also has a general store NPC and a storage NPC. Each Phantom character has its own individual Cash Inventory not shared with other characters. 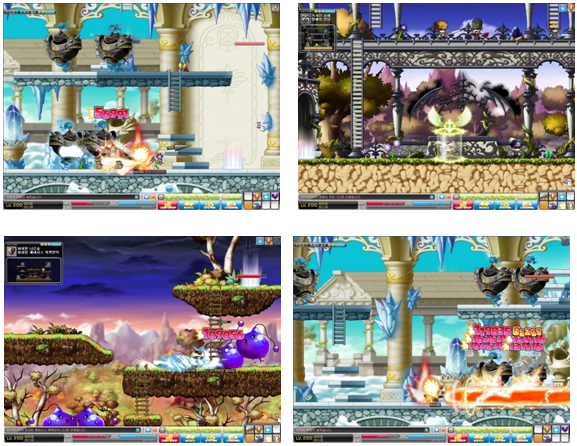 Phantom can get a car mount for 10,000,000 mesos starting at Lv.100. This mount can be upgraded at Lv.200. Phantom can use the Skill Swipe to steal the skill of another Explorer character. Not all skills can be stolen. Stolen skills can be used with Phantom’s Impeccable Memory skills. A new level of Impeccable Memory skill is unlocked with each job advancement, allowing Phantom to steal skills from higher job tiers. The Skill Management UI can be used to manage which of the stolen skills will be bound to the Impeccable Memory skill. The Skill Management UI can be opened with the skill called Loadout. Double-click or right-click on the skill icon to select which stolen skill will be bound to Impeccable Memory. A card deck appears on the right side of the screen once Phantom goes through the 2nd job advancement. After SP have been added to the Carte Blanc skill, the card count will increase at a set rate when Phantom’s attack deals critical damage. Once the card deck is full, Phantom can use the Judgment Draw skill, which deals an additional card attack and give Phantom a random buff that is drawn from the card deck. Like most characters, Phantom can obtain the Hero’s Echo skill in his beginner skills tab, “Miser Mastery" through a quest at Lv.200. Hero’s Echo: Weapon/Magic ATT +4%, Duration: 40 min, Cooldown: 2 hrs. Automatically at Master Level. Azwan is an ancient underground city beneath the Nihal Desert. It was recently rediscovered by the Cygnus Knights following the attempt by its leader, Hilla, to usurp Empress Cygnus' throne. Hundreds of years ago, Azwan was a beautiful and thriving metropolis. 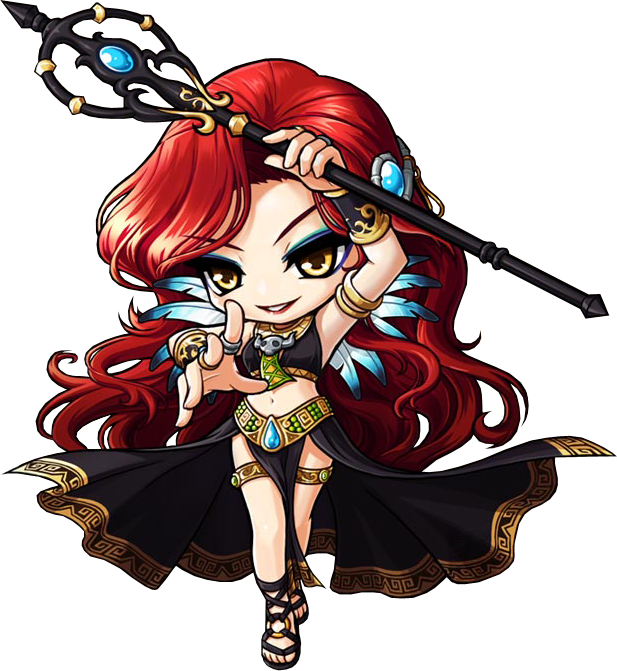 One of its chief shamanesses, the beautiful and powerful Hilla, craved more power and betrayed her city to become a commander under the Black Mage, in exchange for eternal power, youth, and beauty. She took control of Azwan and used necromancy to revive its dead population as minions in her army. She lined the city with giant, magical totems to recapture the souls of her fallen forces so they may be reanimated again. The obelisk that serves as the entrance to Azwan has recently reappeared in the desert and has come under investigation by the Cygnus Knights. Intrepid adventurers can join the fight, leading forces from Ereve in their battle to defeat Hilla’s army and free the enslaved souls of the citizens of Azwan. If you are Lv.40 or above, select Fight for Azwan from a Dimensional Mirror, located in most towns. Characters will be sent to a channel based on their levels. 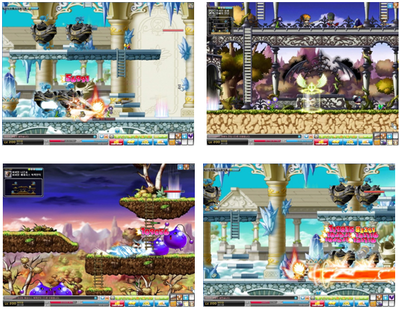 There are four level tiers: Lv.40-79, Lv.80-119, Lv.120-159, and Lv.160-200. There are four modes: Occupy, Attack, Defend, and Supply. 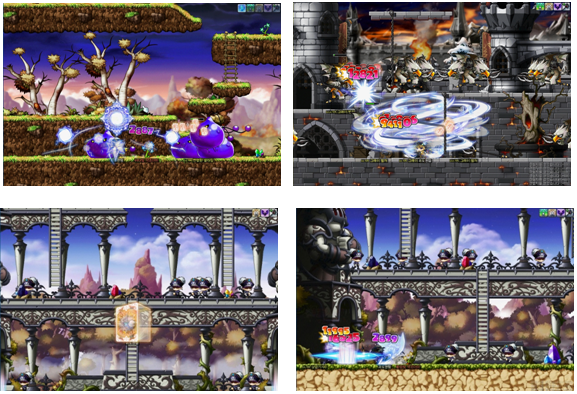 The first three modes have four levels of difficulty: Easy, Normal, Hard, and Hell. In the first three modes, Cygnus monster minions will spawn to help you. Higher difficulty levels feature more powerful monsters in greater numbers, but you’ll earn more Honor EXP and Azwan coins if you are victorious. The strength and number of monsters you face in solo mode are lower than party mode, since you won’t have teammates to back you up. 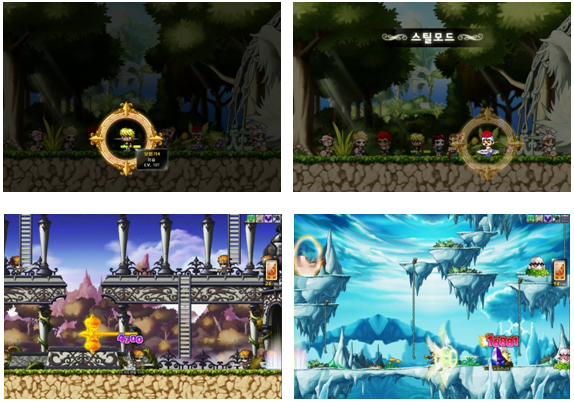 These modes focus on a tower assault strategy. Stop enemies from progressing left. Destroy the Guardian Tower on the right to win. If enemies reach the left side, the Guardian Tower will recover HP. The Owl Tower drops rocks on you for massive damage. These rocks deal damage without regard to any avoidability or invulnerabilities you might have, so try to take cover while they hover in the air for a moment before dropping. The Guardian Tower uses two powerful beam attacks that will deal damage without regard for any avoidability or invulnerabilities you might have. You can use your Cygnus minions as shields in this situation; if they’re nearby, they’ll take the brunt of the blast instead of you. Watch out for stone statues that drop onto the floor as this means the Guardian Tower is about to use its super attack. Hilla's Monster Guardian will appear at an altar in Hard and Hell modes to make things more difficult for you. Avoid pentacles on the ground when it uses its storm cloud attack. Altars in Occupy mode have a wider attack range than the ones in Attack mode. Altars in Attack mode have an additional skill that recovers the Guardian Tower’s HP. This mode focuses on a tower defense strategy. Prevent the Cygnus Faith Stone from being destroyed, or you will lose the round. There are two strategies to win: Smash all of the ballistae, or protect the Cygnus Faith Stone until time runs out. When you see a message saying that a ballista has appeared, keep a look out for a red dot on the platforms. This is where the ballista will appear. You have a limited amount of time to react before a ballista fires a volley. This is shown in a bar that fills up in the HUD that displays how many ballistae are left. The ballistae launch faster and do more damage to the Cygnus Faith Stone in higher difficulty levels. This area functions much like a normal hunting mini dungeon. There’s no difficulty option for this mode. If you accept the quest for Supply Mode from Longorias, you will see the monsters drop Azwan Supply Boxes if you are in this mode between 2 PM and 8 PM Pacific time. Once you collect 100 of the boxes, use the portal within the map to visit Longorias and complete the quest, which is repeatable daily. You can collect up to 150 coins per day by competing in the various modes. You can pick up your coins from NPC Woodwan in the Azwan Refuge Zone. Conqueror’s Coins can be obtained by clearing difficultied modes. They’re the most common Azwan currency. You can also buy 9 of them for 1 Emperor’s Coin through shop NPC Popodom in the Azwan Refuge Zone. Emperor’s Coins can be obtained by clearing modes in Hard difficulty. They’re used to purchase rare Azwan items. You can also buy 1 of them for 11 Conqueror’s Coins through Popodom. Coins can be exchanged for unique Azwan scrolls, Circulators to randomly change your Inner Abilities, and other items. Azwan scrolls can raise your equipment stats quicker than regular scrolls, but they cost more upgrade slots to use. Jean Pierre's wares changes regularly as you rack up victories in Azwan, but they will be reset to mirror Popodom's offerings when you log out. Popodom’s wares don’t change. You might be able to find special recipes and new Emperor equips for sale from Jean Pierre. You can earn Honor EXP from 2pm to 8pm Pacific (5pm - 11pm Eastern) each day by winning battles. Inner Abilities unlock as you raise your Honor level. 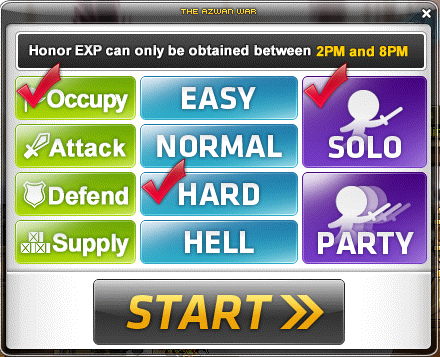 You gain one Inner Ability at Honor Lv.2, a second at Honor Lv.30, and a third at Honor Lv.70. Inner Abilities are like potentials applied directly to you instead of your equipment. For every 10 Honor levels reached, you can obtain a higher ranking Circulator from the Azwan merchants. A Circulator can be used to reset all Inner Abilities. You’ll get better results from using higher ranking Circulators. You can view your Honor level, Honor EXP, and Inner Abilities in the character stat menu. Lv.120 and above players can now battle Hilla, the corrupt conqueror of Azwan! You can access the entrance to the expedition through the Azwan Refugee Zone. To get to the entrance, use the Fight for Azwan option in a Dimensional Mirror (located in most towns), enter the obelisk, use the portal on the far right that is also used to participate in the various Fight for Azwan modes, then select Challenge Hilla. Form your expedition and talk to Medina in the lobby to enter. You can fight Hilla up to 2 times per day. The following boss monster expeditions have been changed to instance dungeons where multiple groups can enter different instances at once. Item drop rates of instance dungeon bosses have been adjusted. The Lord Balrog expedition has been updated to make it more accessible to a larger number of players. You can enter the expedition in any channel now. Expeditions must have 1-6 people, all Lv.45 or higher. You can now choose which scroll you want when you trade in Balrog’s Leather Pieces. The event period to buy upgraded Von Leon weapons (purchasable through NPC Murt) has been extended to run throughout v.112. The following party quests and competitive content have had their level requirements raised. The stats of some of the rewards for Moon Bunny’s Rice Cake and First Time Together have been adjusted. The stats of existing versions of these items will remain unchanged. The Construction Site PQ (also known as "Mr. Lim and the Subway") has been closed. The level minimum has been raised. The HP of monsters in the park has been significantly lowered, making them easier to take on. You can enter five times per day. The dungeons that can be entered have been changed. Travel to the future in the revamped Neo City area to experience new quests and receive new rewards. The quests are now for characters Lv.125 and higher. Several quests have been replaced with new ones. The quests still begin through NPC Andy in Tera Forest. The quest "Mysterious Wanderer" will automatically appear in your quest notifier when you reach Lv.125. The area has been modified to flow more like existing theme dungeons. 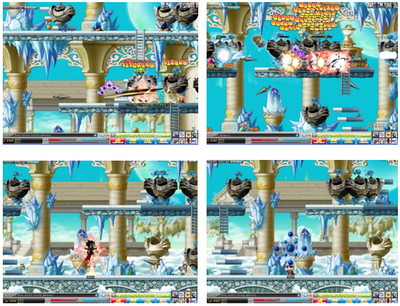 A new Master Monster named “Puso” has been added. You can fight the boss in each region only up to 20 times per day. Upon defeating Nibelung in Year 2503 and completing <Nibelung’s Song> quest, you will be moved to the first map of Year 2503 as with other regions. If Time Traveler’s Pocket Watch is in your possession, you can return it to Andy even after completing <Time Diver> quest. The quest <Puso, the Tyrant of Time> cannot be forfeited. Reward item received upon completing Neo City quests. Use to receive Lv. 30 Mastery Book that can be used by your job (Maple Warrior excluded). Obtained upon completing Returned Time. The stats have increased compared to its previous version. It has hidden potential, and it is automatically is of Epic potential tier upon using a Magnifying Glass. Characters who had the old version of the item before can do the new quests to obtain the newer version. Obtained upon completing Nibelung’s Song. New stats: STR/DEX/INT/LUK +10, Max HP/MP +200, Weapon/Magic DEF +200, ACC +400, AVOID +100. 7 upgrade slots, unhammered. One-of-a-kind item, untradeable. Upon completing all Neo City quests, you can do the quest to receive the medal from Andy. Obtain upon completing Title – One Who Traveled Through Time. Stats: STR/DEX/INT/LUK +6, Max HP/MP +400, Weapon/Magic ATT +1, Weapon/Magic DEF +50, ACC/AVOID +200. One-of-a-kind item, untradeable. A scroll that can exclusively be used for the Time Traveler’s Laurel has been added. Obtain rare Temporal Sand from Neo City monsters and Puso, and then exchange 10 of them for the scroll from Andy. Only one can be obtained per character. Exchange 30 Temporal Sands for one of these from Andy. Exchange 100 Temporal Sands for one of these from Andy. Battle Mode has been put on hiatus. You will not be able to enter Battle Square. Character currently in Battle Square will be able to leave. You can exchange Battle Points (BP) for Gallant Emblems with NPC Maximus. Gallant Emblems are now rare drops from monsters Lv.70 and higher. The items formerly sold for Gallant Emblems by NPC Larson are now sold by NPC Inkwell. PvP-related quests can no longer be done. Kriel the Fairy in Orbis has moved to <Front of Orbis General Store>. Ronnie in Ellinia has moved to <Sleepywood Silent Swamp>. 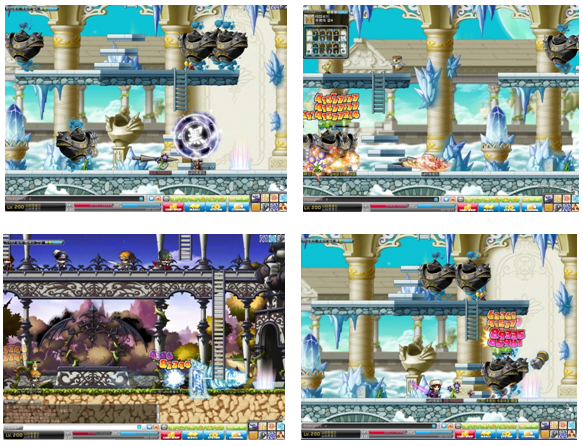 Assistant Cheng in Ludibrium has moved to <Ludibrium Terrace Hall>. Ghosthunter Bob in Ludibrium has moved to <Ludibrium Path of Time>. The levels of monsters in Sleepywood Dungeon have decreased. 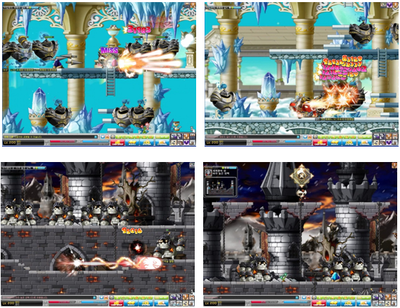 The levels of monsters in Orbis, Ludibrium (monsters in the lower floors of the Clock Tower are not effected) and Omega Sector have increased. Some of the quests in Sleepywood, Orbis, El Nath, Ludibrium, and Omega Sector have been changed. Level requirement, completion requirements, and rewards have been changed for these quests. New quests have been added to Sleepywood and Ludibrium. Jett and Zen has some required quests that need to be completed before they can go through her 4th job advancement. You’ll receive the first of these quests through the quest notifier (light bulb on the left side of the game window) at Lv.80. They have numerous new skills that are unique to them, which use extraterrestrial technology to obliterate enemies. 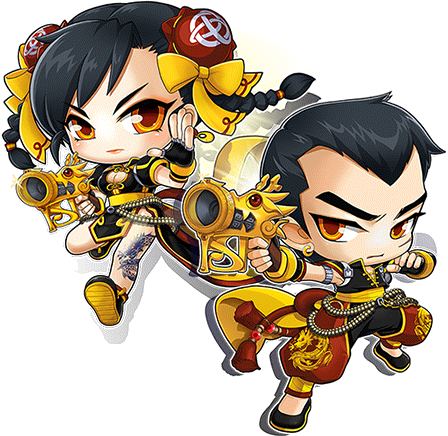 At each job advancement, Jett and Zen will receive a unique gun that gives them bonus damage. Jett and Zen has a special equip called the Core. This item grants stat bonuses and is equipped in what would normally be the equip slot for a shield. It cannot be unequipped until it is upgraded at the 4th job advancement, at which point it also gains hidden potential stats. The Core was stolen, but Jett and Zen retains a fragment of it. This fragment can be upgraded at every job advancement, and each upgrade grows stronger as Jett and Zen levels up. They has a special buff skill called Core Aura that can be shared with another character on the same account and in the same game world. The Core Aura uses a variable buff system. 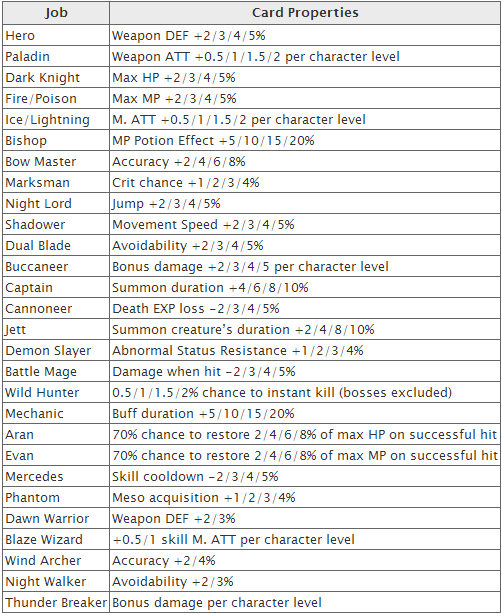 The numeric value of each stat (STR, DEX, INT, LUK, Weapon ATT, Magic ATT) can be different for each Jett character, and the stats will randomly change after a certain interval of time. 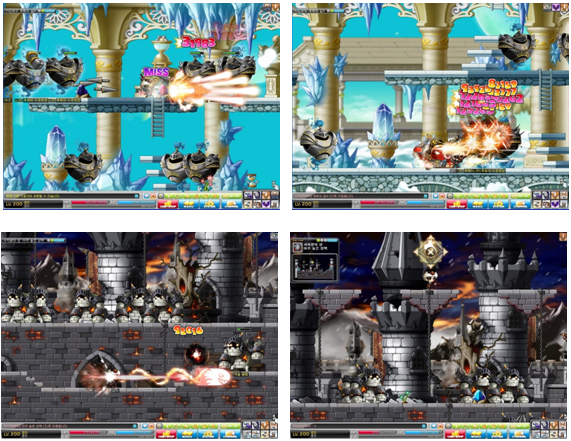 When the Core Aura is shared with another character, the variable buffs given to that character may be different from those Jett is receiving. Each character’s Core Aura buffs will change randomly after a certain interval of time. 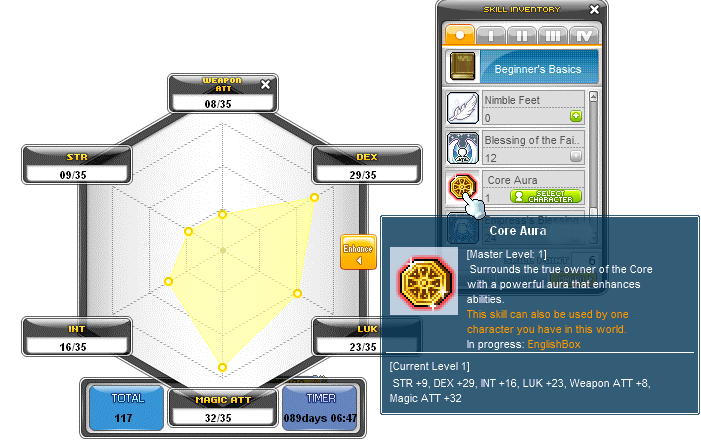 The rank of the Core Aura grows every ten levels from Lv.30-120. Core Aura stats are not given until Jett reaches Lv.30.